MONDOMARINE YACHTS produces every step of the yacht process including design, construction, and engineering, in-house at the Savona production site. The convenient location of the Italian waterfront shipyard allows for yachts to be worked on while afloat for all purposes. The yard manufactures custom luxury yachts from 131′ to 196′ (40m to 60m) in length. 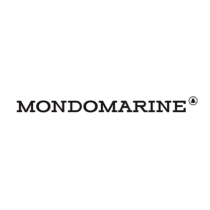 Mondomarine provides a full array of superyacht repair and restructuring services for maintenance and refitting. With every step of the building and design process handled with the highest quality of excellence, every yacht to set sail is delivered on time and meets excellent standards. World-class new yacht construction by Mondomarine includes the 162′ (49.5m) TOY A, the 162′ (49.5m) O’CEANOS, the 161′ (49.2m) IPANEMA and more. As a premier luxury yacht builder, Mondomarine Yachts works with the world’s finest interior and exterior designers including Luca Dini, Team For Design, Luca Vallebona and others, to create a yacht with thoughtful precision and detail to the client’s liking. Browse the entire fleet of Mondomarine yachts for sale or find a Mondomarine yacht for charter below. For more information about Mondomarine yachts for sale and your own custom tailored yacht report, or to book a Mondomarine yacht for charter, simply contact the Merle Wood & Associates luxury yacht brokerage firm.